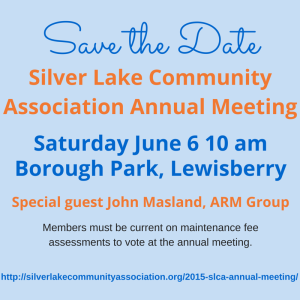 "Silver Lake - A Community Treasure Since 1786"
The Silver Lake Community Association’s Annual Meeting will be held Saturday, June 6, 2015 at 10 AM. The meeting will be in the pavillion at Borough Park in Lewisberry. Mr. Masland is happy to answer any questions. In the interests of time, we request that questions be submitted in writing by May 15 so he has opportunity to incorporate these issues into his presentation. Mr. Masland will be available for 45 minutes only, and we want to make this as informative, educational and transparent for SLCA members as possible. Time permitting there will be a brief Q&A after his presentation. 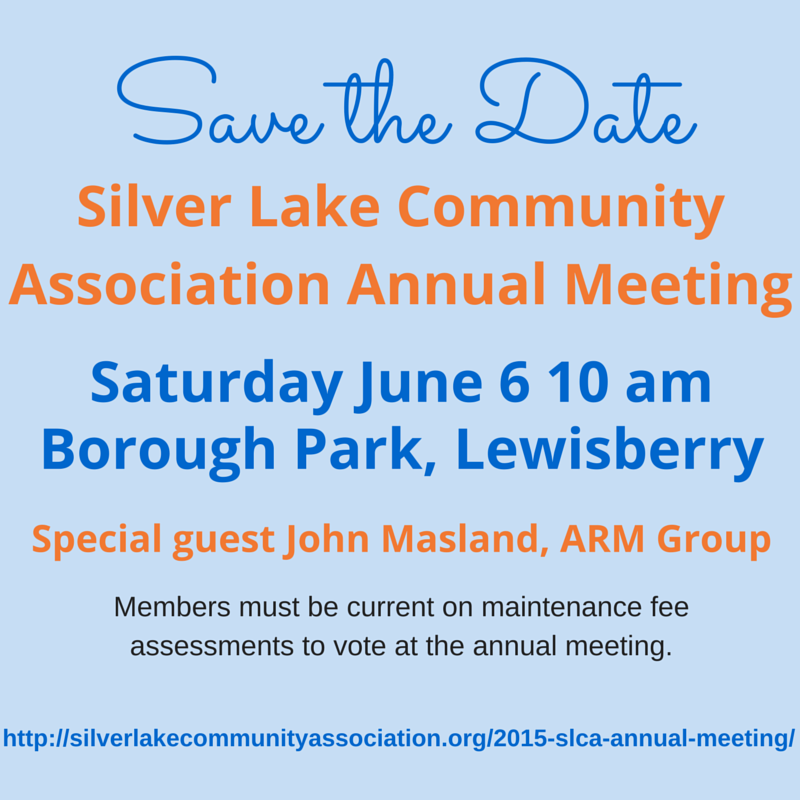 Please note, members must be current on all maintenance fee assessments at the time of the annual meeting in order to vote on any business before the SLCA.